Marvel vs. Capcom, Super Smash Bros., King of Fighters, Fighters Megamix, Mortal Kombat vs. DC Universe… what that do all these games have in common? Well my friend, they’re all fighting games! Obvious. But what separates games like these from your typical ilk of fighters is that these are the crossover ones. The fighting games that pair up characters from different properties to (sometimes team up and) beat the crap out of each other in the name of pleasing the fans. So it comes as no surprise that Final Fantasy would jump into the fray of crossover fighters. They’ve done it before. 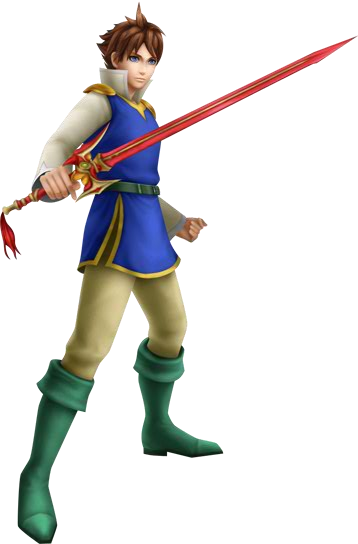 But this time around, it all about the Final Fantasy characters, and it’s not your typical Left Side/Right Side kind of fighter. Two years ago, Square released Dissidia: Final Fantasy, a fighting game that was one part Virtual On, one part Kingdom Hearts. You were free to move everywhere, and you customized your character as they leveled up. 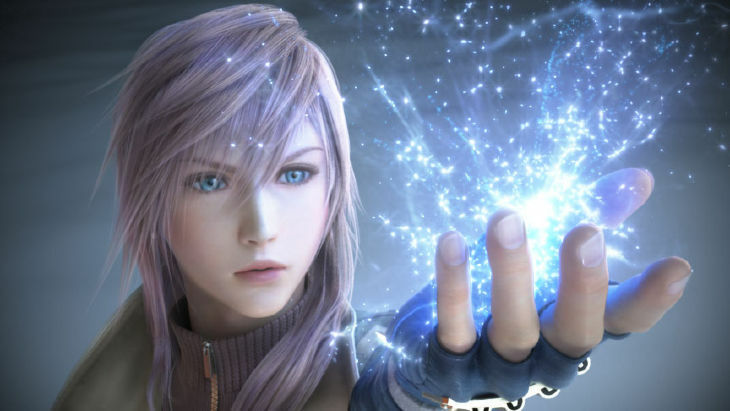 In the end, it only appealed to the Final Fantasy crowd, and critics panned the game for its limited fighting system. 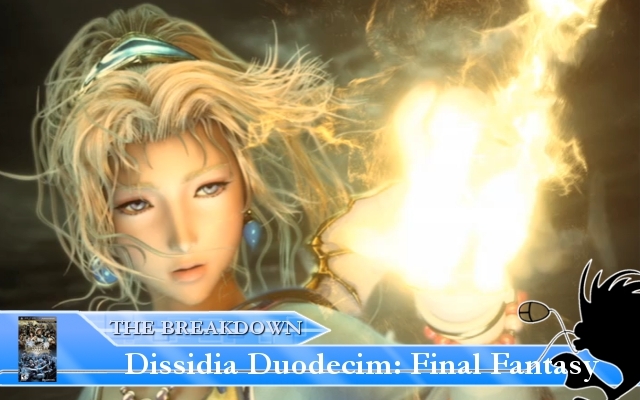 So how does this prequel, Dissidia Duodecim fix the issues of the old? Hit the jump to read on. 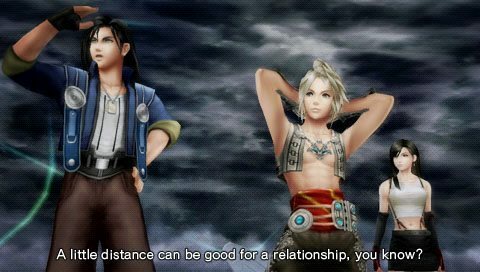 You’re gonna see Vaan doe that. A lot. Replay Value: Once you beat both the 12th Cycle and 13h Cycle campaigns, there may not be much reason to keep playing. There are Reports that are playable, and extra scenario that reveals more about the story, if you’re up for grinding your character like hell (if you didn’t transfer you character levels that is, like I did). So the bottom line: this game is an improvement over the first game. For those that played the first Dissidia, you might want to get this game at a reduced price. Maybe around $20 would do. For those who haven’t played it, you’re better off getting Duodecim as there is more to do in this than in the first game. And it has a world map. There are more things that I want to cover for this game, but in the interest of time and space, this is all I’ll be talking about. I recommend this game mostly to fans of the Final Fantasy games. Everyone else can try, but you might miss most of the nods to the original Final Fantasy games. This entry was posted in Review and tagged crossover, dissidia, duodecim, fighting game, final fantasy, Laguna's Theme is frickn' Eyes On Me, psp on June 13, 2011 by Steven T..